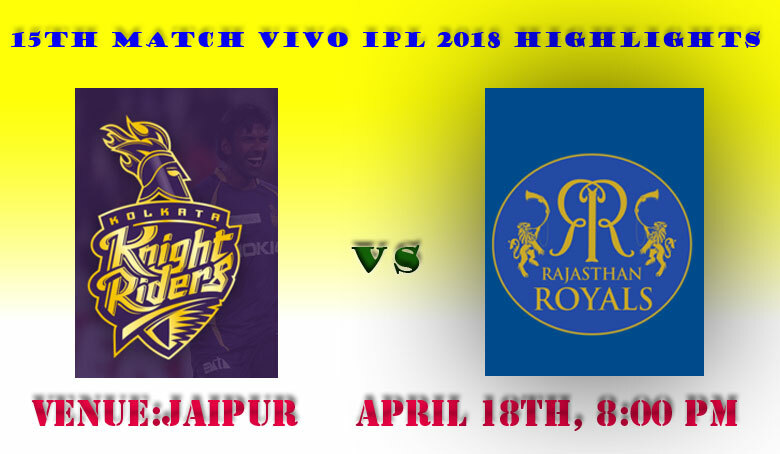 Kolkata Knight Riders rise and break through Rajasthan Royals Castle to climb UP the Vivo IPL Table with 6 Points. Kolkata Knight Riders Won the Toss and Elected to Field First. Batting First on Home Ground Rajasthan Royals Put a Target 160/8. After three unsuccessful batting for Ajinke, looks good in this Match. he Scored 36 in Just 19 Balls. Other Opener Australian Batsmen Short scored 44 in 43 deliveries. Sanju Samson came in after Rahane's departure and the Jaipur crowd backed him with the chants of 'Sanju Sanju'. Alas, Sanju failed to live up to his name while batting.Promoting Rahul Tripathi up the order did not take the opposition by surprise. KKR bowlers stuck to the basics and left the rest to batsmen’s callousness. The outcome was in lines with expectations: Rahul Tripathi failed to show character and was dismissed cheaply while trying to clear the fence in a relatively big ground. And this was not just Tripathi's misadventure. The English Due Ben Stokes and Jos Butler try to move the Scoreboard miserably failed. Jos butler scored 24 runs in 18 Balls. Chasing the 160 Target KKR was loose its opener Lynn. After that Utappa and Sunil Narine playing so good strokes, Moved the socre board. Narine was score 35 and Utappa socred 48 in just 36 balls. After they both got out, Nitish rana and skipper did the Job for KKR. karthik was 42 not out in 23 balls.